Logo_bin: this is the second image that appears when your device is booting up. This image appears very quickly just about 2-5 secs. You can find this image inside your phone. It’s located inside /system/media/image/logo_bin. ==> Logo builder. Download here. ==> File Manager. Preferably Root explorer. Download here. ==> Custom recovery. CWM OR TWRP. Learn how to create CWM here. Tutorial on TWRP coming soon. ==> sp flashtool (optional) download here. 1. First you have to copy the logo.bin file from your mtk backup folder to the desktop. 2. 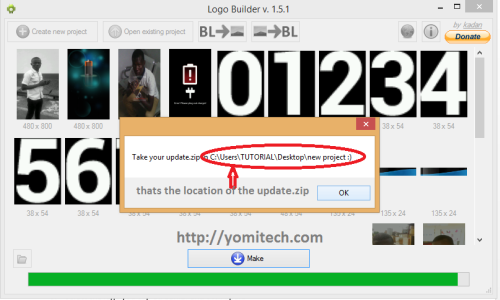 Extract “LogoBuilder_v1.5.1”, open the folder and launch logo builder. 3. In the next screen that appears, just click on close. 4. Click on create project. 5. Select the logo you copied earlier and click open. 7. The logo.bin will be extracted. You will see a copy in the logo builder window. 8. Go to the folder where you extracted the files and edit any of the images. 9. Make sure you use the same resolution and also rename the image you want to use to the same name as the one you want to replace. 10. Once you are through editing the images. Go back to the logo builder and click on make. 11. After re packing, a flashable zip file will be created. 12. Open the folder where you extracted the logo.bin and copy the update.zip file. 13. Paste the update.zip in the root directory of your sd-card and flash through recovery. 14. CONGRATULATIONS!!! You have just successfully changed your boot logo. “For advanced users, you can also flash the logo.bin you see in the folder with sp flash tool. “It’s not compulsory the images you use are png, just rename any image to png. “Make sure the file size of the image you are using is not too large. 1. Open the logo builder if you have closed it. 2. Click on the second BL as shown in the image below. 3. Select any image you want to use and click open (make sure the image resolution is the same resolution as your device). 4. Select the folder where you will like to save the image and click on save. 5. 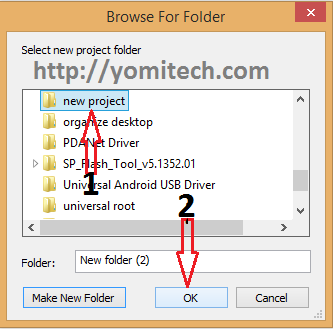 Now open the folder where you saved the file and copy it to your sd card. 8. That’s all. Now you are done. 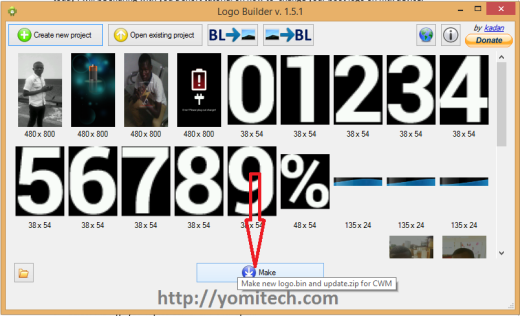 Tip: you can also create the logo_bin by just dragging any image on to the logo builder. Though this has been tested on different mtk devices without any error. I won’t be held responsible for any damage done to your device. All credit goes to the developer of this software. KADAN. If you have any question, drop it in the comment box.